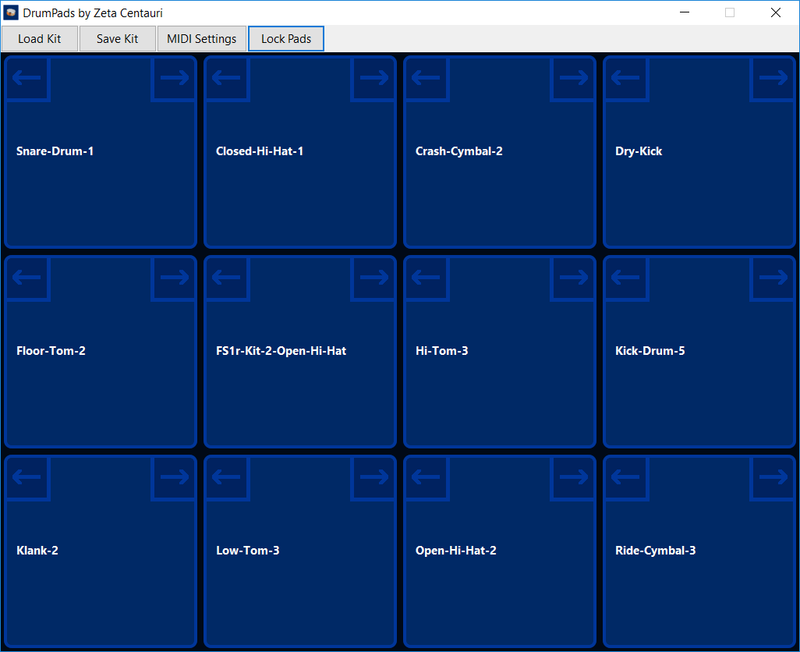 Of all the audio apps I wrote for Zeta Centauri, DrumPads was by far the most popular, with more than 300,000 lifetime downloads. It’s a pretty simple app. It’s a set of 12 virtual drum pads, each of which plays a sample when you tap or click it, or hit the corresponding keyboard key. It also had MIDI support and included a bunch of samples from freewavesamples.com. It let you use arrow icons scroll through to samples to change the kit, which could be a fairly long process. It was notable for me in that it was the first app I had ever written as a with a touch-only interface. It started as an app for webOS tablets back in 2011. Soon after, webOS was discontinued, abandoned, and set aflame by Leo Apotheker, one of the most incompetent CEOs in modern history. I ported it to Linux and it was in the Ubuntu app store. Then I ported it to Windows and posted it online. And I almost got it ported to OSX. It built, but it never came together well enough to make it past the App Store goons. There was a pretty capable free version and a paid version. The free version was very popular, but the paid version only sold a few dozen copies. Now that Zeta Centauri is no longer a business, there’s no reason not to release the full version for free.